I honestly cannot count the number of times analysts have predicted the decline of the PC Market and a paradigm shift to tablets and mobile computing. 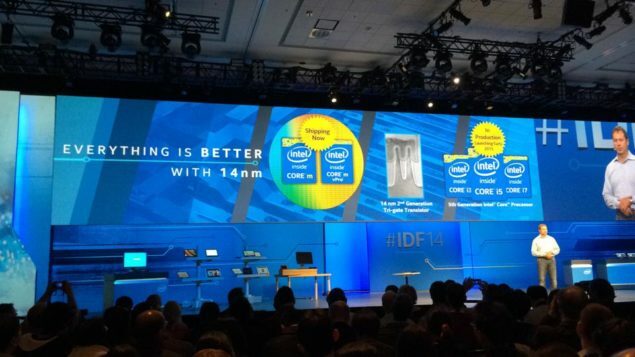 Well, guess what, Intel’s brilliant quarterly results suggest the exact opposite. Intel actually managed to rake in a net income of $370 Million more than the third quarter of last year. The revenue of the chip giant was 14.6 Billion dollars while the total Net Income (profit) of the company was $3.3 Billion Dollars. Interestingly however Intel’s mobile division raked in a mere 1 Million dollars in revenue and an operating loss of $1.04 Billion Dollars. It is worth pointing out that Intel has been acting on Contra Revenue tactics lately to penetrate the entry barrier to the mobile market, but to be honest it doesn’t look like its going too well. The mobile division is bleeding a ton of money and only time will tell whether this was worth it in the years to come. The PC Division had a total revenue of 9.2 Billion Dollars while the Data Center (Server) division had a revenue of $3.7 Billion Dollars. Intel’s quarterly earning report actually exceeded Wall Street’s expectations (excluding the mobile division) and goes on to show that the PC Market isn’t going anywhere. The major problem lies within the fact that most analyst are experts in finance and very rarely understand the nitty gritty details of PC. It is because of this reason that even when the trend line shows a decline, and seasonality seems to have been abandoned, the market still bounces back. There might come a day when PCs will be replaced by mobile devices completely, but that day isn’t happening any time soon. In the past year the business side of the PC Market declined somewhat, leading analysts to speculate on the demise of the same, but at the same time the consumer market went into a boom. Even now, analysts will keep on predicting the death of the PC market when seasonality comes into effect and the corporations finish their refresh cycle but as we know well by now, its demise is being greatly exaggerated.